In a smart move by the NFL, they have rescinded a $7,500 fine against Giants defensive end Justin Tuck for a hit on Dallas Cowboys quarterback Brooks Bollinger last weekend. 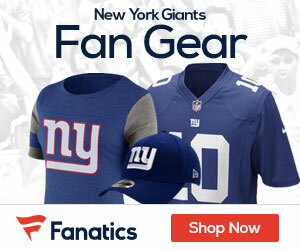 Ray Anderson, the NFL’s vice president of operations, called Tuck on Friday night to inform him of the change, the Giants said in an e-mail on Saturday. Tuck was right in saying that the hit was legal and Giants coach Tom Coughlin agreed with his player on last week. Tuck hit Bollinger in the midsection as the quarterback released a pass and his momentum carried both to the ground on the third-down play in the fourth quarter. Tuck was penalized for roughing the passer. The league originally determined that Tuck had unnecessarily driven Bollinger to the ground and issued the fine on Friday.